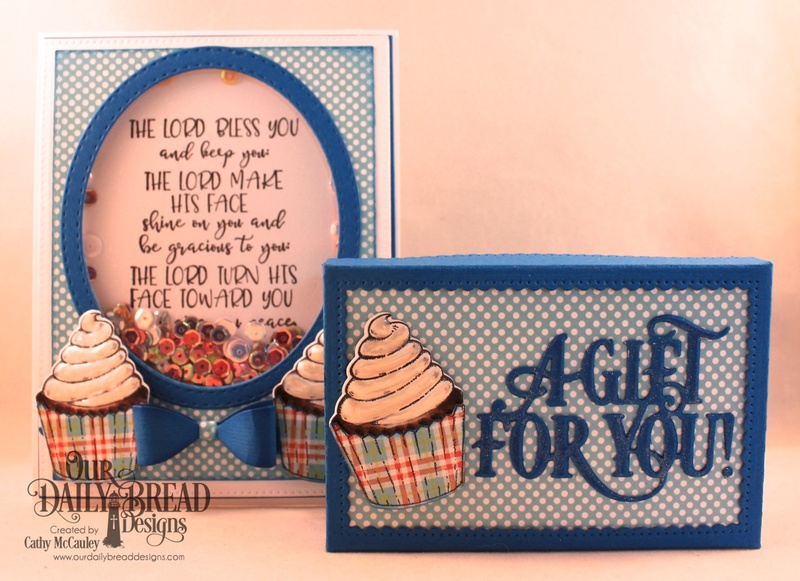 Today I'm sharing over at the Sweet 'n Sassy Stamps Blog. 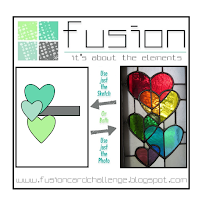 Be sure to hop on over there to see the details for each project! The new Love One Another Printables designed by Diane Noble were used to make magnets, table centerpieces, and tags/bookmarks for the ladies who attended our church's Ladies' Conference. Hello friends! Just a short post to share one of the cards I'm featuring over on the Sweet 'n Sassy Stamps Blog using the new Spring Blossoms stamp set available at the Sweet 'n Sassy Stamps Store. Tulips and daffodils are a sure sign that spring has arrived and now I can enjoy a little bit of spring until it actually arrives on the calendar! Creative Nugget: The tulips from the Spring Blossoms set were masked and colored with Copic Markers. Some of them were stamped twice, fussy cut and popped up for dimension. The split sentiment was added on pennant flags. I couldn't resist adding a little stitching and a bow to finish off the card. Easy, peasy, but pretty...don't you think? Good morning, friends! 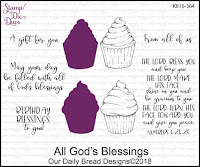 Today we are taking another look at the Our Daily Bread Designs February 2018 release. 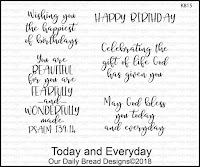 I have a birthday card and gift card set to share with you. My first sample uses the new Today and Everyday stamp set. 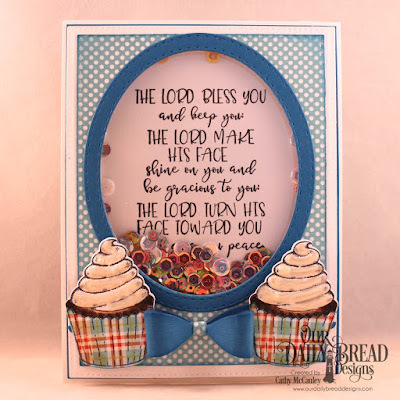 Creative Nugget: Layers of papers from the Easter Card Collection 2016, Pastel Paper Pack, and card stock were cut with Pierced Rectangle, Lavish Layers, and Filigree Frames Dies. The Trellis Strip Die was used to cut a border and the floral embellishment was cut with the Asters and Leaves and Fancy Foliage Dies. 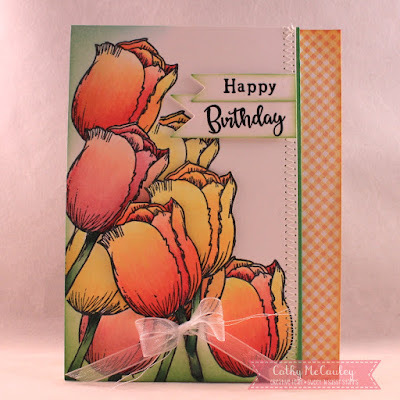 The sentiment from the Today and Everyday stamp set was embossed on the top layer. 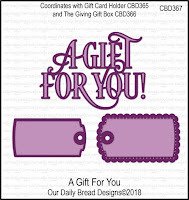 The new The Giving Gift Box , A Gift For You, and the Gift Card Holder Dies were used to create this little gift set. Hello friends! 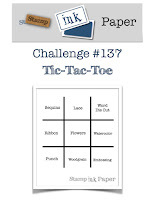 Today I am hosting the "Ways To Use It" Challenge over at Splitcoaststampers. Since February is the love month, we are using kissing on our cards...that is, Kissing Techniques." Here are three tutorials you can use to help create your cards: Kissing Technique, Kissing With a Twist, and Embossed Kisses. Creative Nugget: The solid daisy image from the Daisy stamp set from Rubbernecker was inked with several Oxide Inks, stamped off once, spritzed lightly with water, pressed to an embossing folder that had been inked with Salty Ocean Oxide Ink, and stamped on mixed media card stock. The sentiment from the Truth Quotes 1 stamp set by Sweet 'n Sassy Stamps was stamped and embossed...love how embossing the sentiment makes it pop. 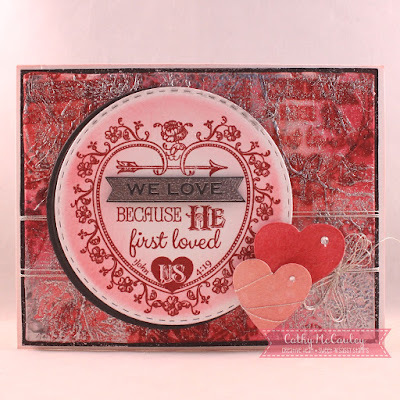 A wash of Oxide Inks was applied to a background piece of mixed media paper, the How Do I Love Thee scrip stamp from Rubbernecker was lightly and randomly stamped and the panel was then embossed with the same folder used for the "Kissing." 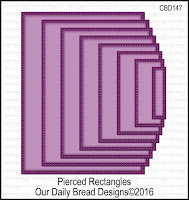 The panels were cut with Pierced Rectangle and Pierced Square dies from Our Daily Bread Designs. A black gingham ribbon was added. Thanks so much for stopping by. 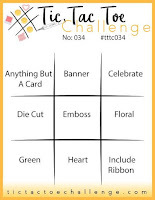 I hope you will be able to join the challenge over at Splitcoaststampers! Hello friend! 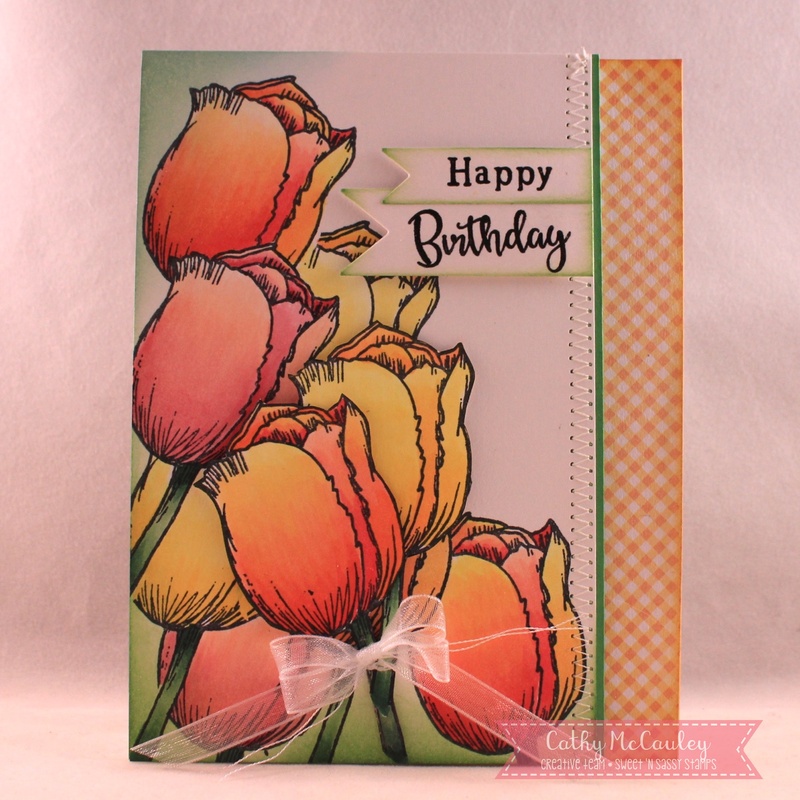 Are you a CAS card maker or do you like to layer up your cards? 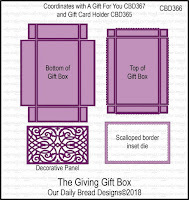 The Two for Tuesday feature on the Our Daily Bread Designs Blog offers the best of both worlds. 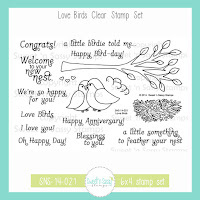 With Valentine's Day tomorrow, I reached for the Love You Bunches stamp set from Our Daily Bread Designs for my samples. 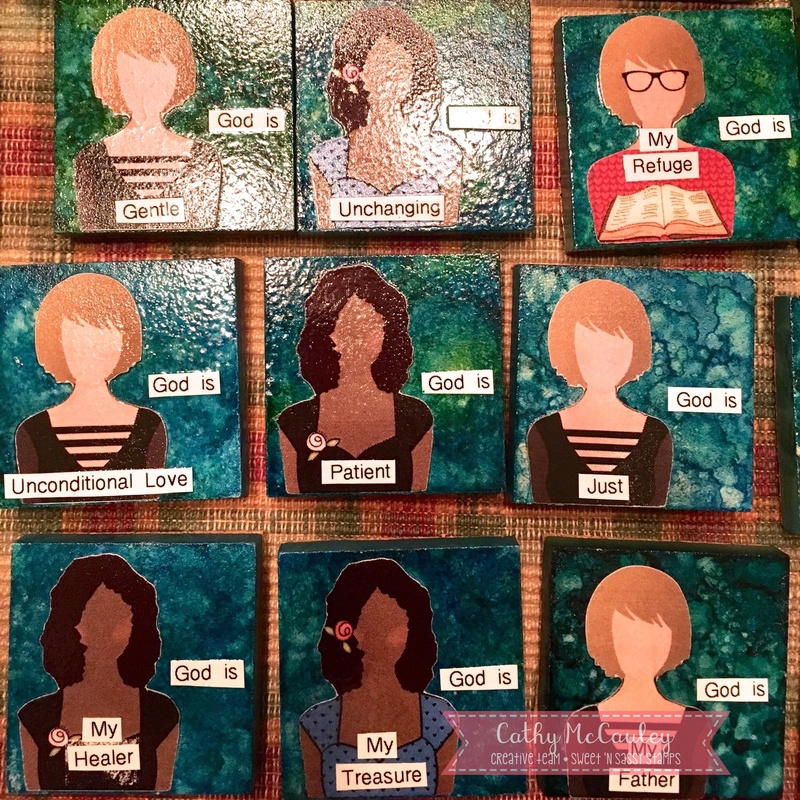 Creative Nugget: The CAS version has a "Wrinkle-Free Distress background and a few stenciled hearts cut with a Pierced Rectangle Die. Pennant Flag and Double Stitched Pennant Flag Dies were used to cut banners from papers from the Heart and Soul Collection. 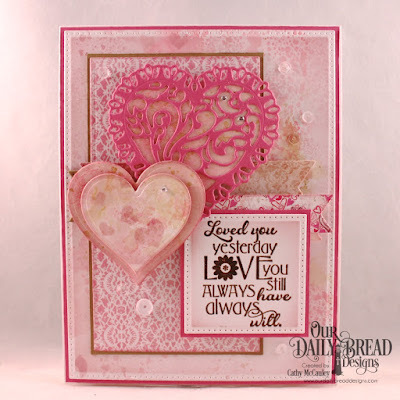 Layering Hearts and Tulip Heart dies were used to cut and layer the hearts. A few sequins were added to finish the card. Creative Nugget: A rectangle panel cut with the Center Step A2 Layers Die from Heart and Soul paper was added behind the hearts to this stepped up version and the sentiment was embossed on a panel cut with a Pierced Square Die. Hello Friends! With all the ice and freezing temperatures we've been having, I am ready for Spring. Since Spring is still a little more than a month away, I decided to create a little bit of Spring. 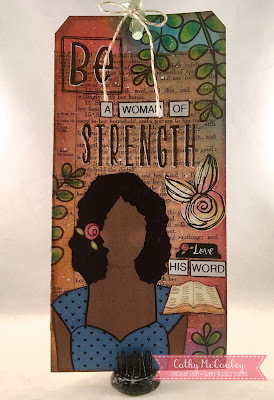 Creative Nugget: I found this background in my stash that was created with a stencil, Distress Oxide inks, and a little stamping using the Typewriter Text Background by Sweet 'n Sassy Stamps. I created a second panel using the same colors to coordinate with the background. Both panels were cut with SB Matting Basics dies. A pair of daffodils from the new Spring Blossoms stamp set just released by SNSS was colored with Copic Markers and cut with my ScanNCut. Part of the sentiment from the same set was white embossed on a hand cut banner. 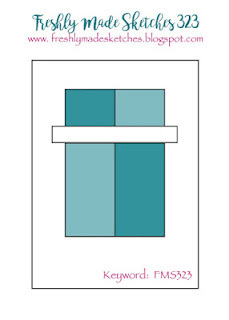 The design for the card was inspired by the Freshly Made Sketch for this week. Thanks so much for stopping by...hope you enjoyed a little bit of spring! Hello friends! 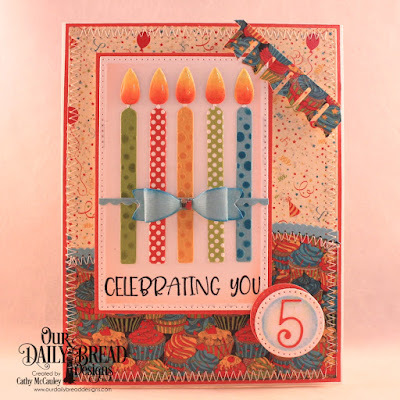 Today is Throwback Thursday over on the Our Daily Bread Designs Blog where we take an old stamp set off the shelf and give it some love and attention. 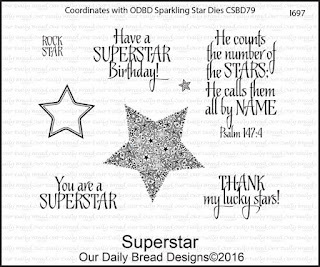 Superstar is the stamp set that is being featured so be sure to head over to the Blog and take a look at the other samples made with this fabulous set. Creative Nugget: I chose the verse from Psalm 147 in the Superstar set to use on my card and thought that a galaxy sky would be the perfect background. A variety of colors of Distress Oxide inks were first sponged onto a piece of mixed media paper. Black Soot was then sponged over the top, letting some of the colors from underneath show through. This was spritzed with water and Perfect Pearls mixed with water in a spritzer bottle for lots of shimmer. The stars and sentiment were gold embossed before cutting the panel with Pierced Rectangle and Pierced Circle Dies. The panel was mounted to black card stock that had also been sprayed with the Perfect Pearls. The circle that had been cut from the background was offset creating a moon shape. The large star from the set was gold embossed on black card stock and cut with the coordinating Sparkling Stars Die. A few sequins were added to finish the card. Thanks so much for stopping by...hope your were inspired! Hello friend! 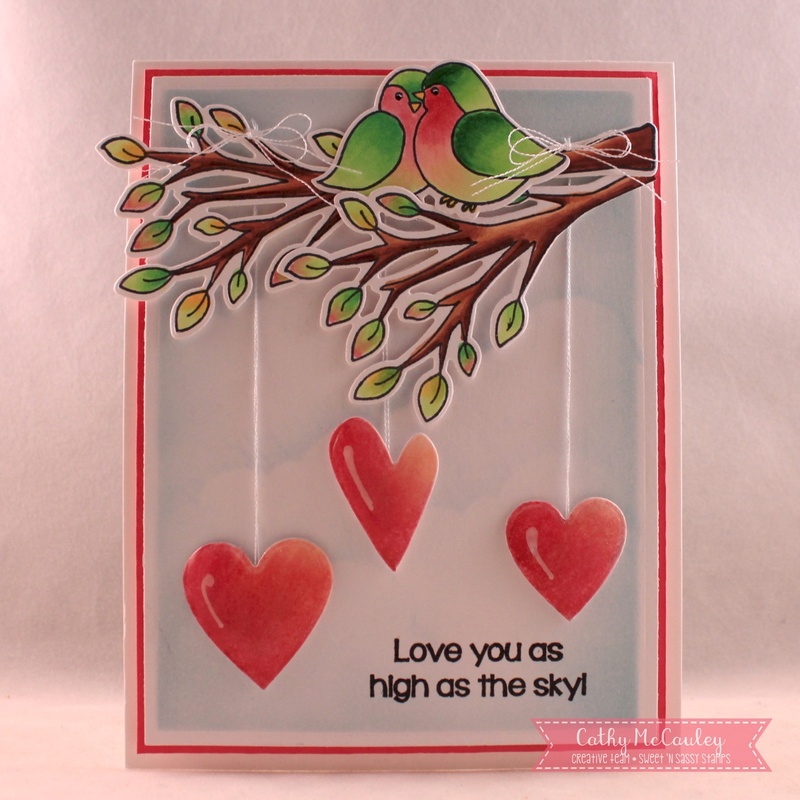 It's February and love is in the air with one of my favorite love stamps from Sweet 'n Sassy Stamps! 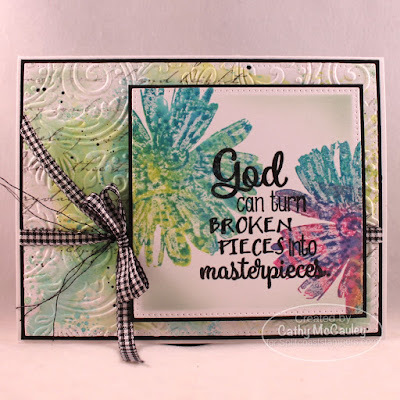 Creative Nugget: Clouds were sponged on the background with Tumbled Glass Distress Ink. 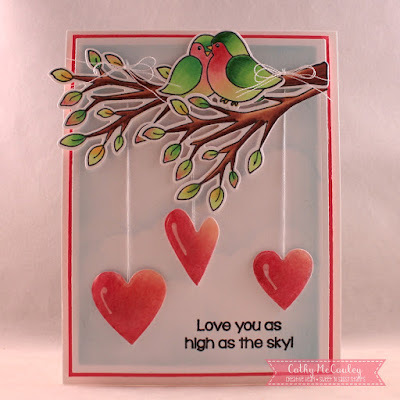 The images from the Love Birds stamp set were colored with some of my favorite colors of copic markers and cut with the coordinating Love Birds Dies. A few hearts were die cut, colored and covered with Wink of Stella and Glossy Accents, and suspended from the branches with metallic thread. 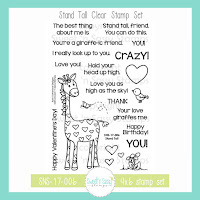 The sentiment is from the Stand Tall stamp set. 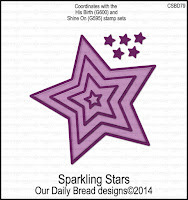 The sketch at Splitcoaststampers was used for the design. 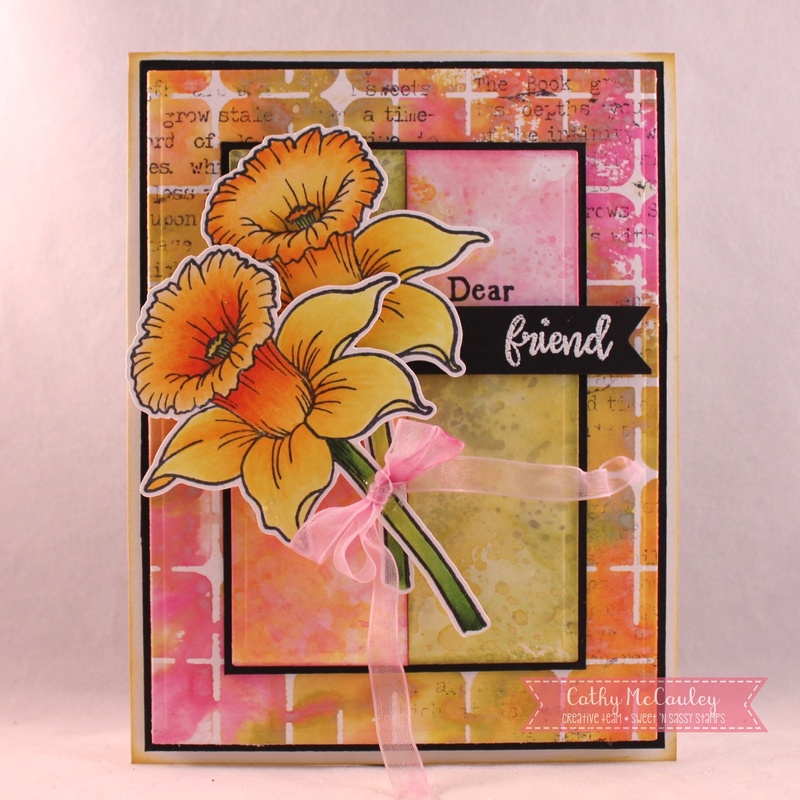 Thanks so much for stopping by...happy stamping! Good morning, friends! 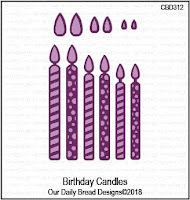 Today Our Daily Bread Designs is releasing new stamps and dies perfect for creating projects to help celebrate your friends' and family's birthdays! My first sample uses the new All God's Blessings Stamp/Die Duo. Creative Nugget: Pierced Rectangle and Double Stitched Ovals Dies and paper from the Birthday Brights Collection were used to create the card front for the shaker card. A piece of acetate covers the window so the sentiment from the All God's Blessings Stamp/Die Duo and sequins could be seen. The cupcake tops were colored with Copic Markers and a cream Viva Pearl Pen while the bottoms were paper pieced. The Small Bow Die was used to create the small bow. The new The Giving Gift Box and A Gift For You Dies make it possible to create a little gift box to match your card. 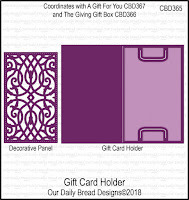 The Gift Card Holder Dies make it possible to create a gift card holder to fit inside the little gift box. 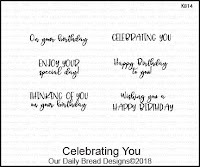 My second card uses the new Celebrating You stamp set. 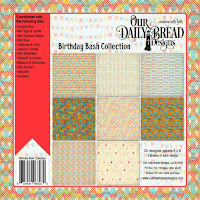 Creative Nugget: The background papers from the Birthday Bash Collection were cut with Pierced Rectangle and Leafy Edged Border Dies and stitched together. 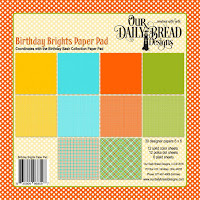 The largest of the Birthday Candles Dies were cut from Birthday Brights papers and sponged. The flames were cut, colored with copic Markers and Wink of Stella, and coated with Glossy Accents for shine. 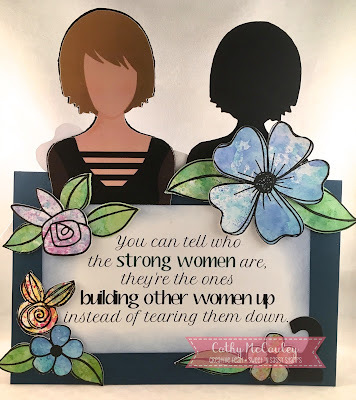 The sentiment is from the new Celebrating You stamp set. 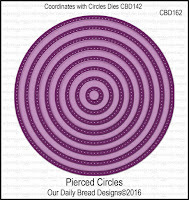 Numbers Dies were used to cut the number 5 which was mounted on a Pierced Circles die cut. 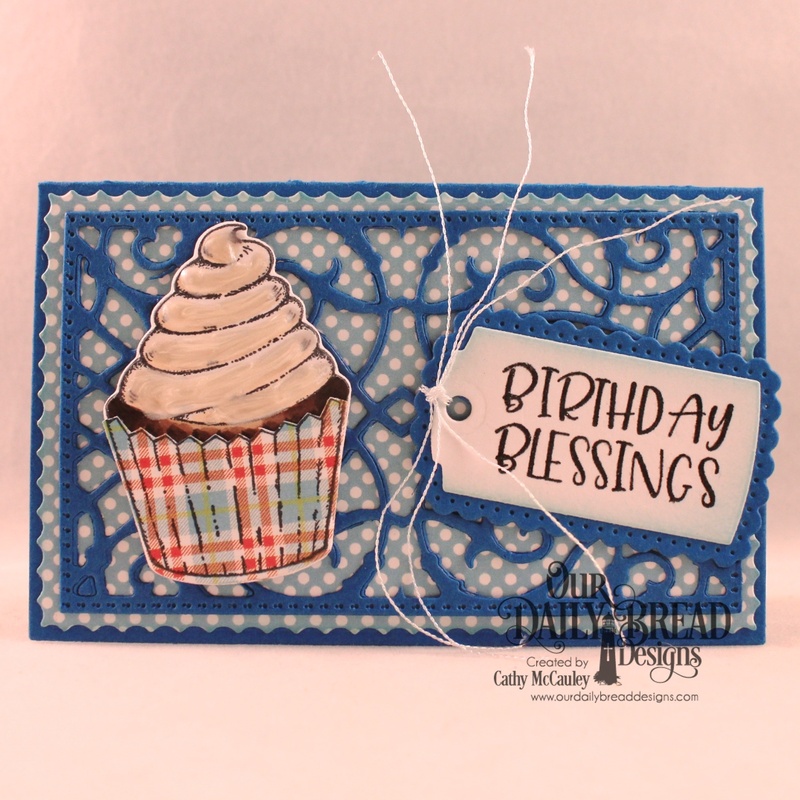 Bitty Borders and a Mini Bow were added to finish the card.